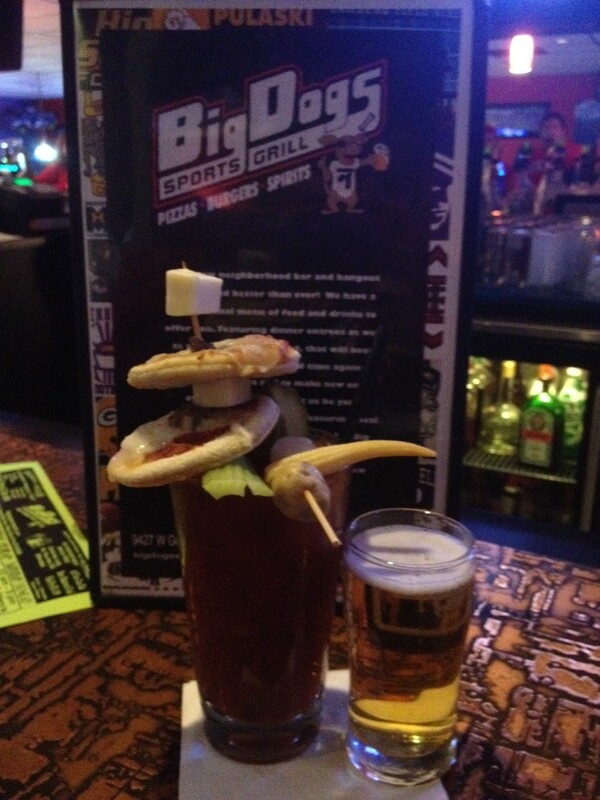 Also during March Madness, I visited Big Dogs Sports Bar & Grill. I was pleasantly surprised to find that their Bloody Mary was something special-it has pizza on it! I went here on a Saturday night and admittedly had low expectations when I ordered my Bloody Mary. I was shocked when it came with essentially two pieces of sausage pizza on it and other assorted fixin’s. This was a delicious drink and tremendous value. Big Dogs is definitely in the running for a future meeting place!